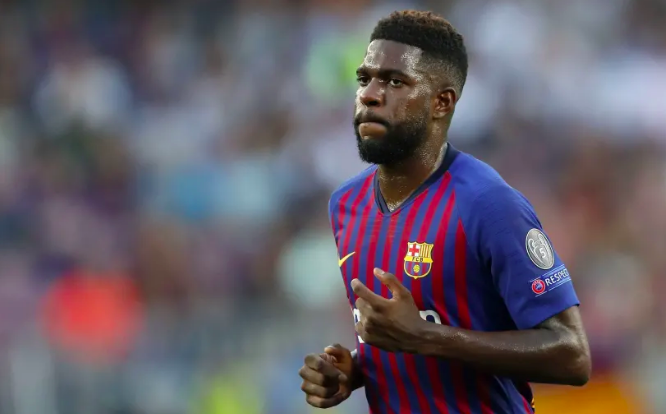 Arsenal have reportedly outlined their intentions to move for Samuel Umtiti, who is also being linked with Manchester United, according to Spanish media outlet Mundo Deportivo, as quoted by Metro. The Gunners are set to rival the Red Devils for the signature of Barcelona centre-back Samuel Umtiti this summer. The report states that Barca could see the France international in the summer to raise funds as the Spanish champions look to complete a swoop for Matthijs de Ligt from Ajax. The report goes on to claim, United are already thought to be interested in Umtiti as Ole Gunnar Solskjaer looks to improve their defence ahead of next season. The north Londoners are also weighing up a move to sign the 25-year-old defender to revamp their options in central defence. Umtiti contract at Barca runs until 2023.